The authorities’ efforts to go after former prime minister Yingluck Shinawatra have hit a stumbling block, as Interpol has not yet confirmed to the Thai police whether it has managed to identify her whereabouts. Meanwhile, the Foreign Affairs Ministry has been able to seize her passports, found to be four so far. Deputy National Police Chief Pol General Srivara Ransibrahmanakul said on Monday that the police had been going after Yingluck, who was sentenced to five years in jail in September for failing to prevent corruption in her government’s rice-pledging scheme, but they had not yet received any confirmation from the international police that they asked for assistance. She fled the country prior to the original scheduled reading of the verdict in the case against her, on August 25. 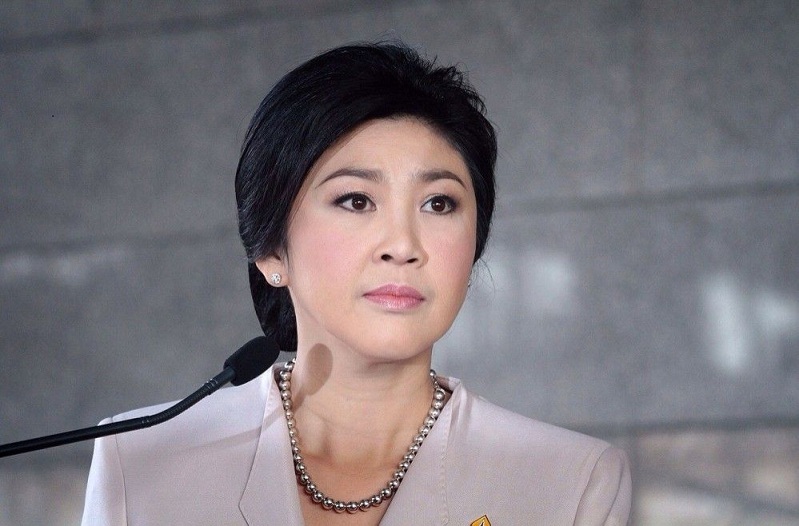 The police early this month requested that Interpol issue a blue notice for Yingluck first in order to locate her, before applying for a red notice, which would require police in other countries to arrest her. Interpol’s blue notice is used for requesting help to collect information regarding a criminal’s whereabouts or related crime activities, while the red notice is an international arrest warrant. While the France-based agency did get back to the Thai police for further information in regard to the blue-notice request, they have not heard any further from them. Srivara said the police had no information regarding her reported attempt to attain asylum status in the United Kingdom either. The deputy police chief said the Foreign Affairs Ministry had, however, managed to revoke four passports in the ex-PM’s name: two general passports, and two diplomat passports. In regard to her missing the deadline to appeal the Supreme Court ruling against her, he stressed that it was “her business”. The Nation on Monday contacted Pol Maj-General Udon Yomcharoen, who oversees the police’s foreign affairs, to check whether the Thai police could continue going after her if she was granted political asylum. However, he declined to comment, saying only that the national police commissioner and his deputy could provide such an explanation. Yingluck’s deadline for the appeal passed on Friday, without her filing such a request to the court. The prosecutor did not do so either, resulting in the case effectively being completed, and with Yingluck, under the new law governing legal procedures against politicians, facing the prospect of remaining a fugitive from Thai justice for the rest of her life. The Supreme Court’s Criminal Division for Political Office Holders convicted the former premier in absentia and announced her prison sentence on September 27. The law allows her to appeal within 30 days of the date of the verdict’s delivery, but – under new legal provisions – she would have to launch the appeal in person from inside Thailand. Norawit said he had received no contact from his client since she fled the country a few days before the court had originally been due to deliver its verdict.